These days, I’m typically always rocking a curled ‘do. When my hair is short, it looks fine styled straight and I usually mix it up between different styles. 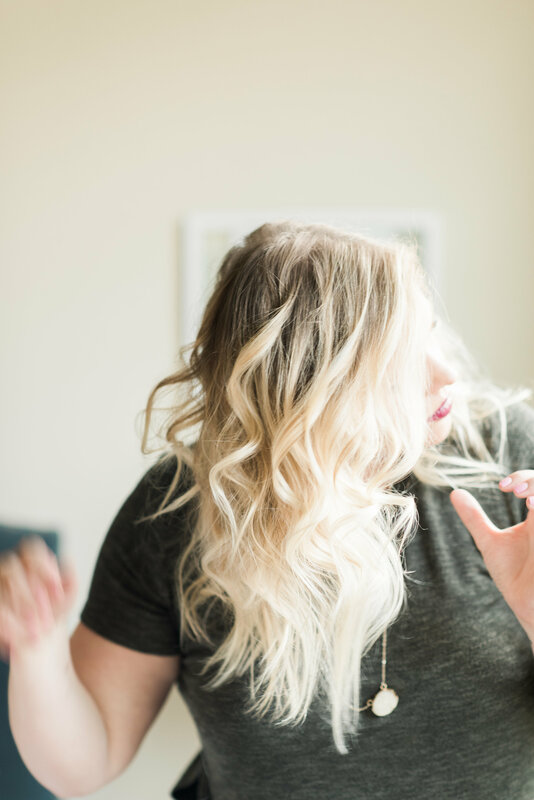 But now that my hair is getting long again, I really have to make sure it doesn’t look scraggly since it’s so thin and fine (more about that here – thick haired gals, you really will never know the struggle of your ear poking through your hair). I wanted to give a quick & easy mini tutorial on how I do my hair. One day I’ll get comfortable filming myself, but that day is not today, my friends. There’s no magic trick, but like most things beauty-related, I’ve spent lots of time googling and YouTubing, then practicing to get what I like. Now I’m at a place where I can pretty much always get a good result with this method! Start by pinning up your hair with a duck bill hair clip (my hair only needs one because it is so thin). 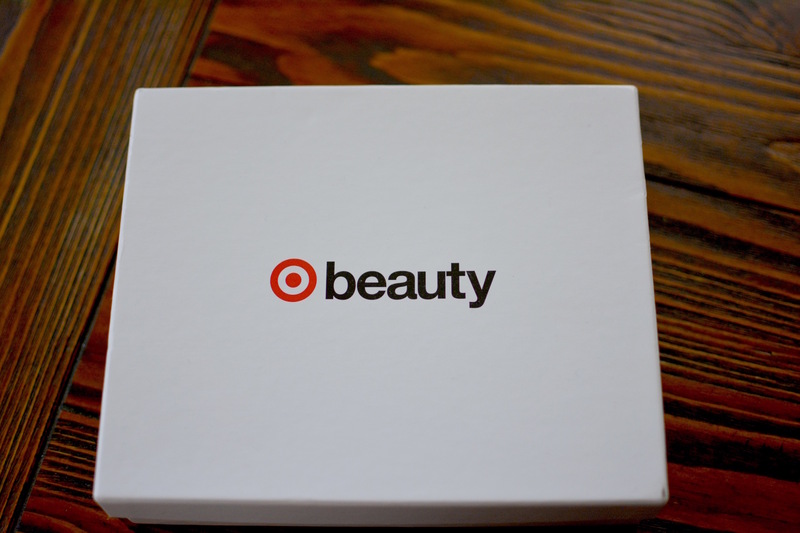 I use this heat taming spray first (I’ve been using it for years). Since I don’t have a lot of hair, it’s really important to me to take care of what I’ve got. I also put moroccan oil on the ends when I get out of the shower and comb through my hair, before blow drying. 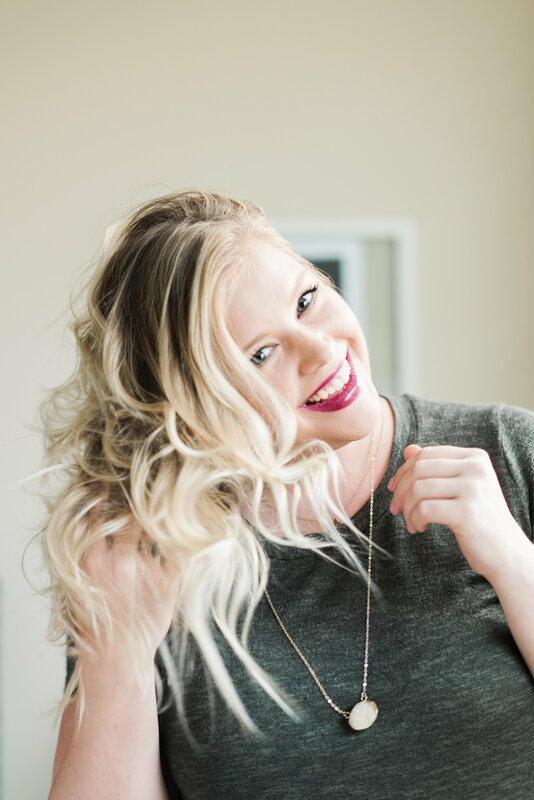 Just lightly spritz a section of hair, let it air dry for a few seconds, and then curl! Or you can spray it all before you begin. I bought this curling wand last year on sale around Christmas time, and it’s a great size for my hair! It is super basic – it doesn’t even have a temperature setting on it – but it does the job! 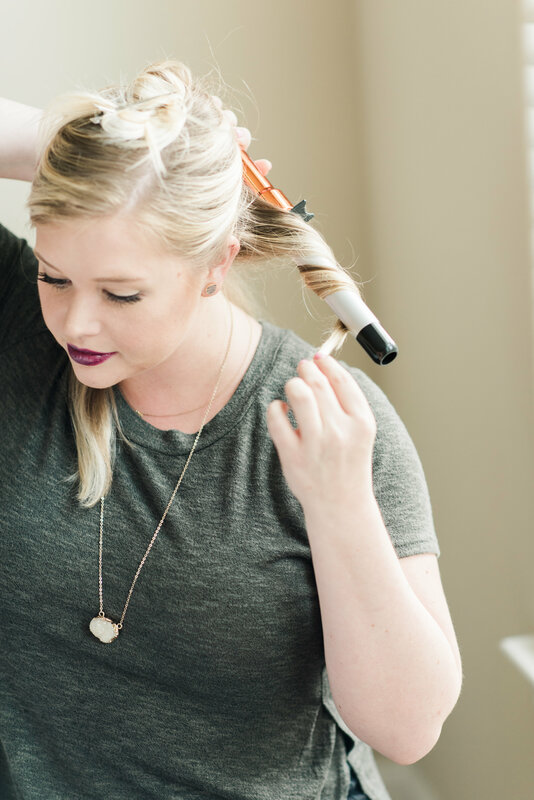 I have watched a lot of tutorials, and a lot of people hold their curling wands upward. I can only use it pointed downward for whatever reason. 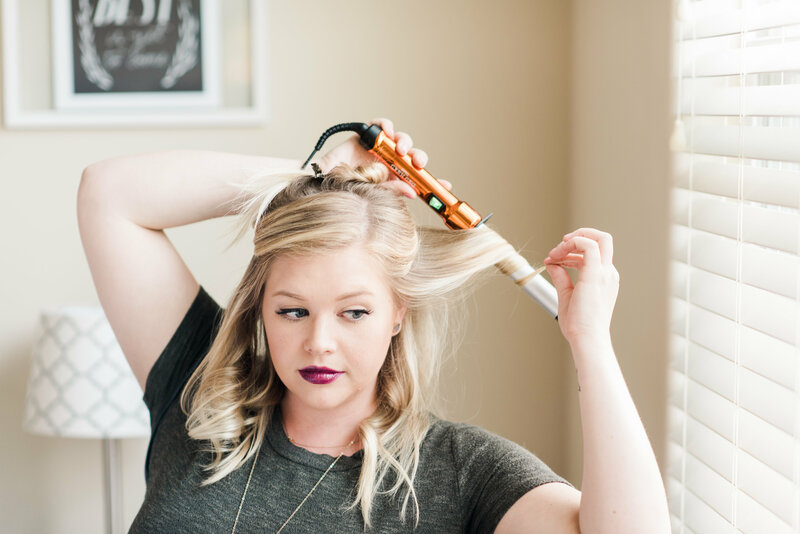 I wrap a section around the base of the curling wand and wrap the hair twice around the barrel, moving towards the actual top of the barrel, since it’s pointing upside down. I try to start close to my head to give some lift and volume near my roots. 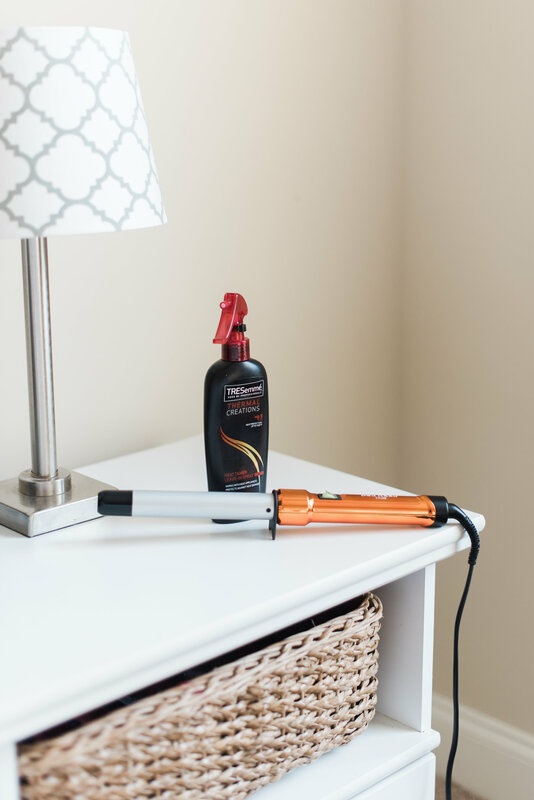 I always leave a solid inch or so out of the heat, and that’s what I hold onto away from the curling wand so I don’t burn myself! I can’t use those gloves that come with it; they mess me up. After you curl the bottom layer of hair (for me this is just two curls! ), let down the next layer by scooting your fingers backwards from your temples and grabbing hair at temple level and up. 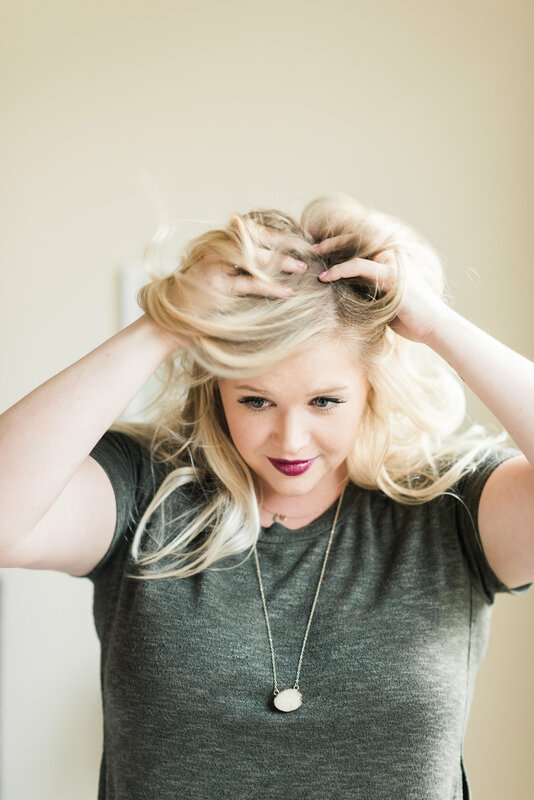 Re-pin the rest of your hair on top of your head. Repeat the process! I always curl my hair away from my face. You can alternate toward/away from your face each curl, but since I don’t have a lot to work with, that can sometimes look odd on me. 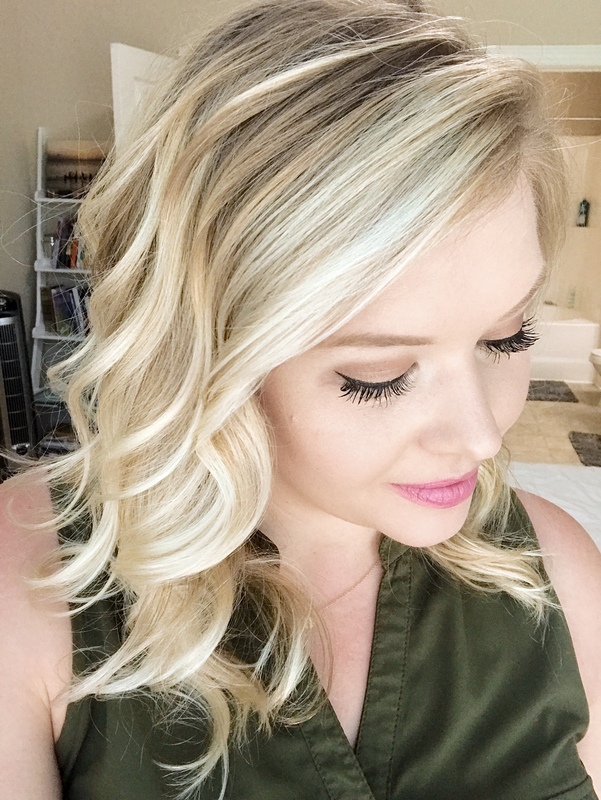 One trick I use is to let the curls fall straight off the wand, so instead of unraveling them, I just slide the wand back out and let the curl slide off. Another tip I use is not touching my hair until I’m completely finished with my whole head. I like to let the curls set and cool off. If I don’t, it falls more easily. 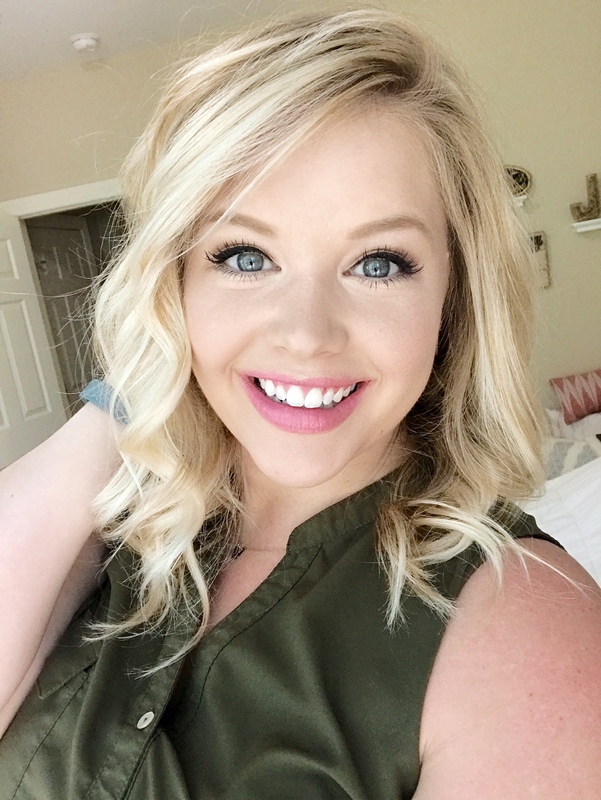 When I get to the last and top layer of hair, I like to curl the very front piece straight back to give it extra volume! 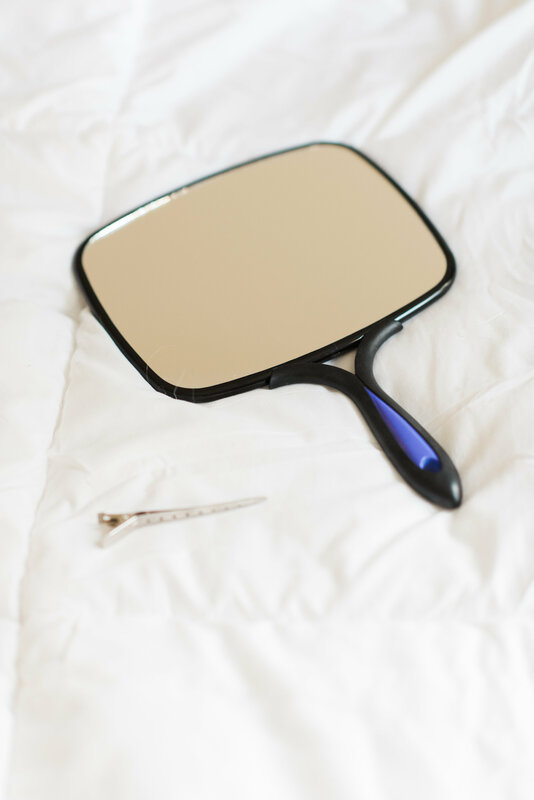 When you’re finished, double check the back of your hair with a hand held mirror. 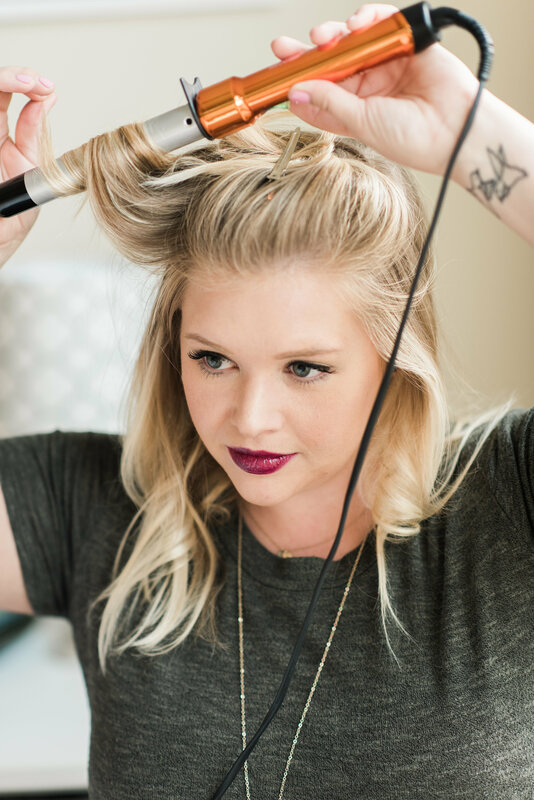 Then, run your fingers through your hair, toss it around a bit, and spray it lightly if you want – I love this hair spray. 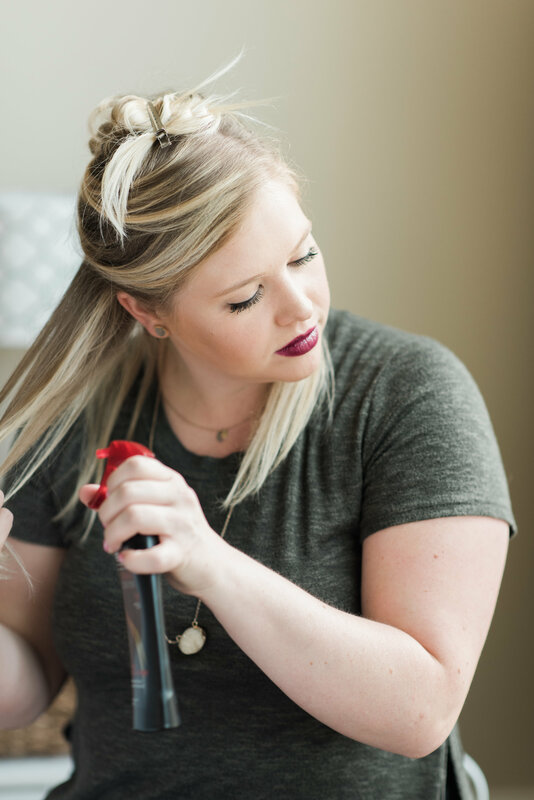 I also like to use a texture spray sometimes to give more hold and lift – just lift your hair up and lightly spray from underneath as it falls. Voila! 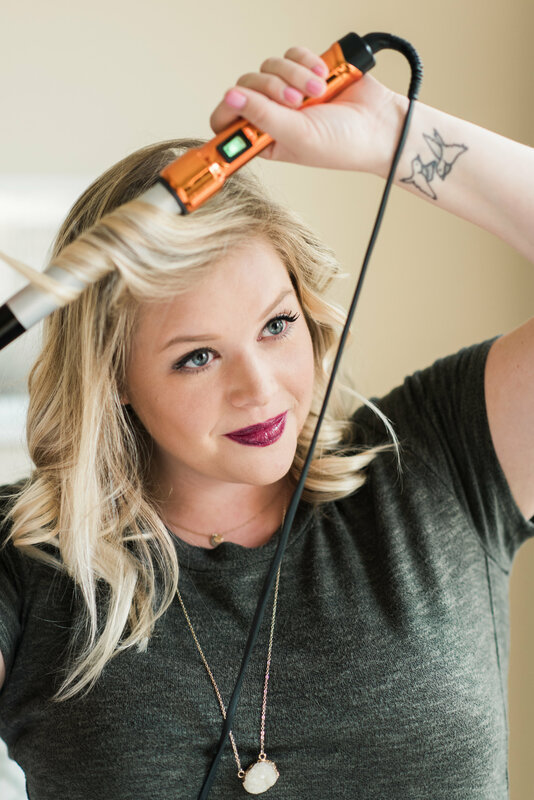 If I want tighter curls or curls that will last longer as they fall, I wrap the hair three times around the wand instead of two. 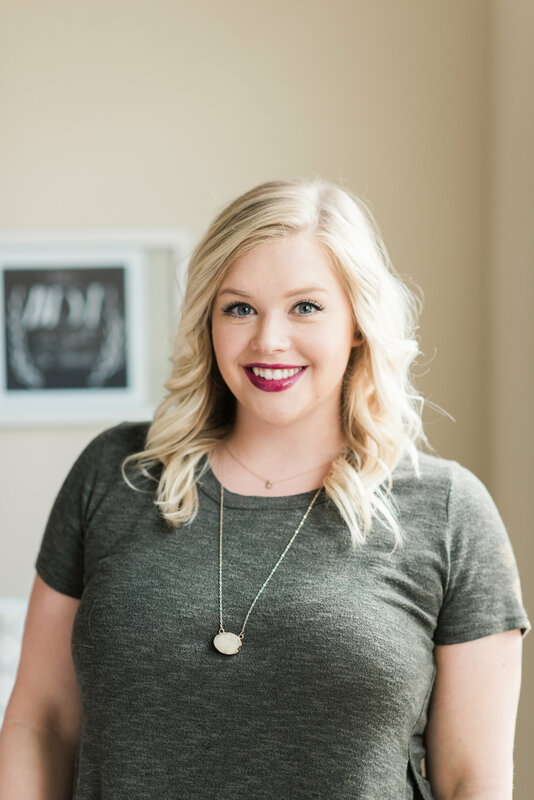 Larger sections of hair = larger curls, and obviously the less meticulous you are about it, the messier and more carefree your curls will look! If you want to see more tutorials/how-tos, let me know! You already know who shot these photos. 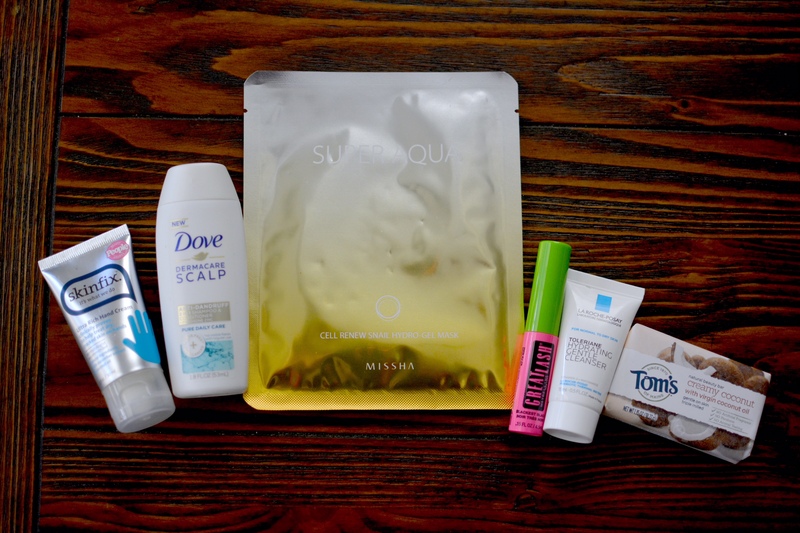 if your locks are thin and scraggly like mine, this post is for you. All exaggerations and jokes aside, I have had thin, stick straight hair my entire life and have had to learn some tricks of the trade. For instance, how to pull your hair back without having bald spots where there’s not enough to cover your skin? How to give the illusion of life to limp noodle hair when you need to dazzle your audience? How to look casual and cute while wearing a baseball hat without your ears sticking straight through your hair on both sides? These are legitimate concerns. this is literally all of my hair. 1. 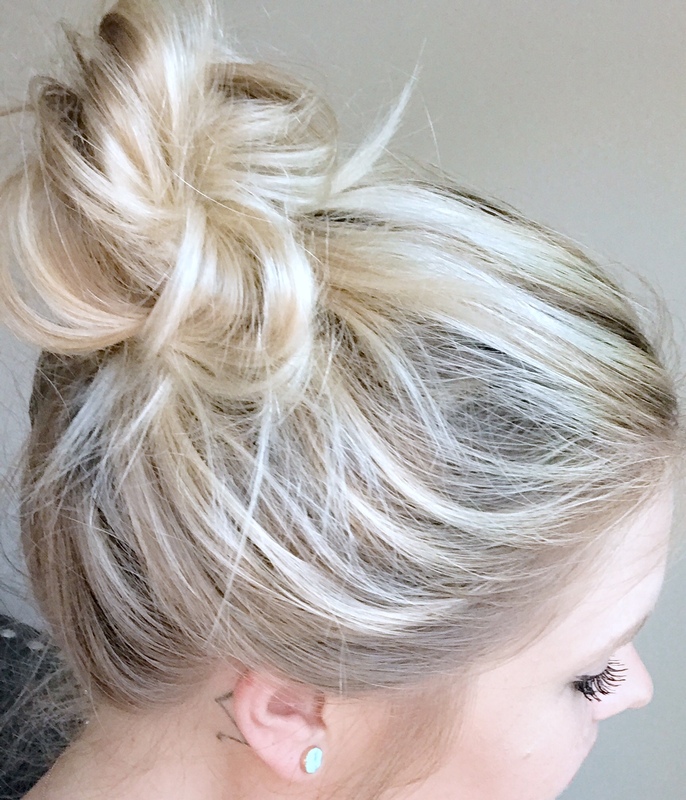 The messy bun for girls with thin hair. The trick here is bobby pins, my friends. You can’t see any in these pictures (I think) but there are three bad boys in there. 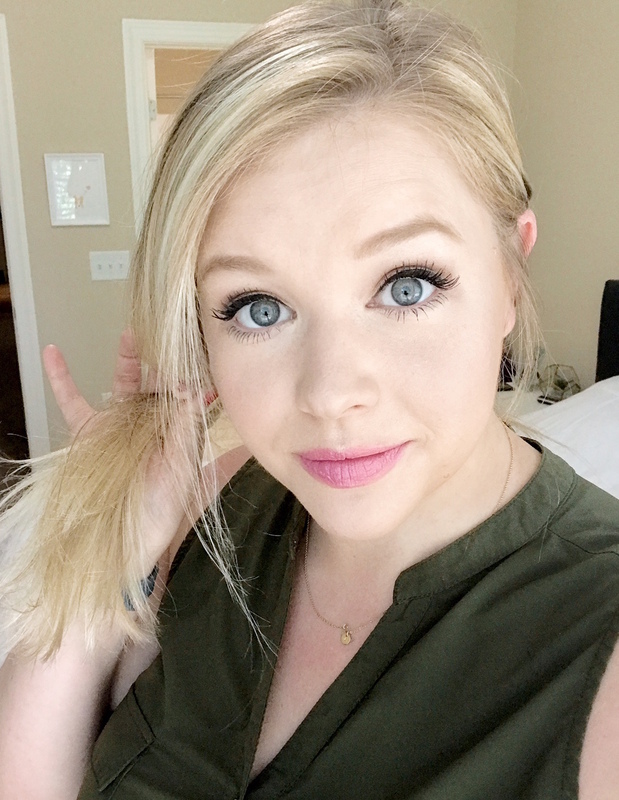 The bobby pins give me the freedom to create an illusion of more hair than what’s there by pulling hair around or tucking it under other hair, or fanning out some of what I do have without it being see-through. 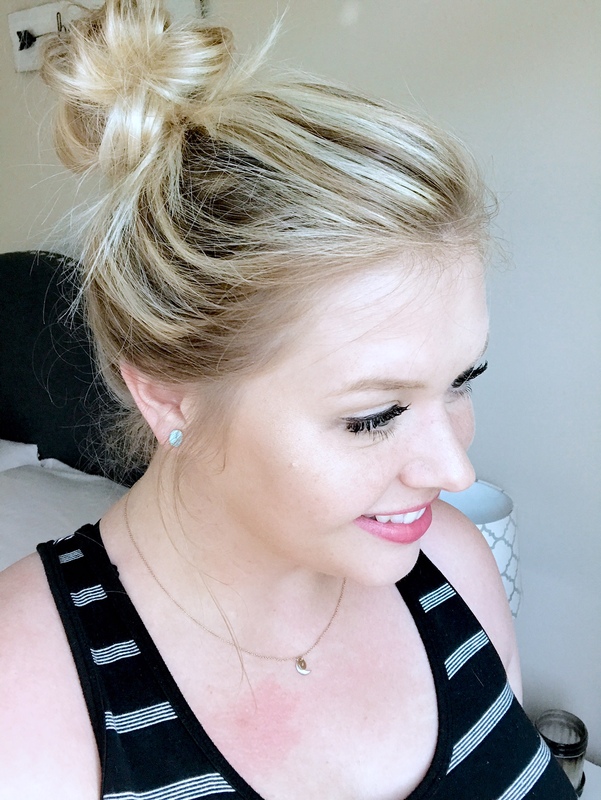 My messy bun can look so ugly in the messy bun at first, and still be fixed up with bobby pins (I also sometimes buy these little guys to use, too!). I buy mine in the blonde shade so they blend in better. 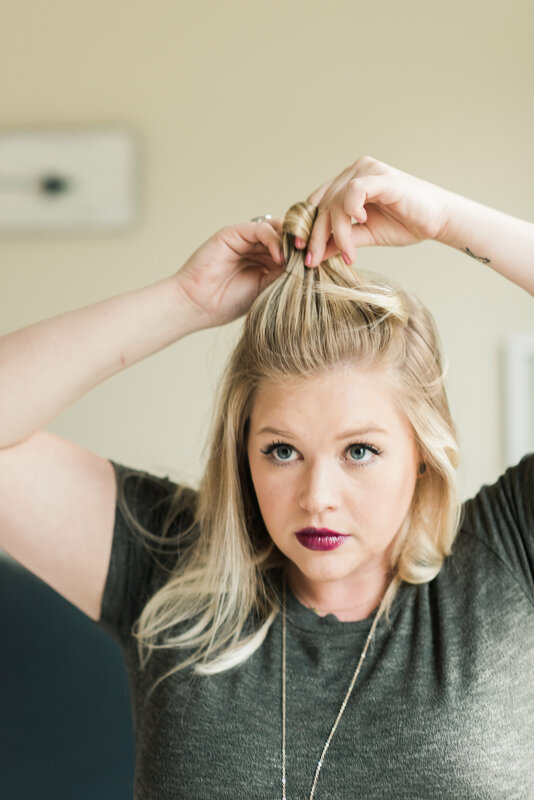 If you get your bun pretty tight, you can use your fingers to loosen the rest of your hair that you pulled back. That way, it looks more full and more like, “Look how easily I just threw up my hair and it fell just perfectly like this.” Even though you didn’t just throw it up and it would never just fall that way because it is limp and fine and thin and slips out of your fingers and you have to work hard to make it look this easy. Sigh. Let’s move on. Granted, my hair is never going to look like the big, thick curls that I dream of. I can live with that. But curling my hair gives it so much more volume and lift. I use either this curling wand or my sister’s bigger one (it’s a Bellami 1 1/2 in. hot rod curler but I think it’s discontinued?!). I also have a 1 1/4 in. hot tools curling iron that I love. I love this dry shampoo (or splurge) to ‘rough up’ my hair and give it a little more hold and lift. 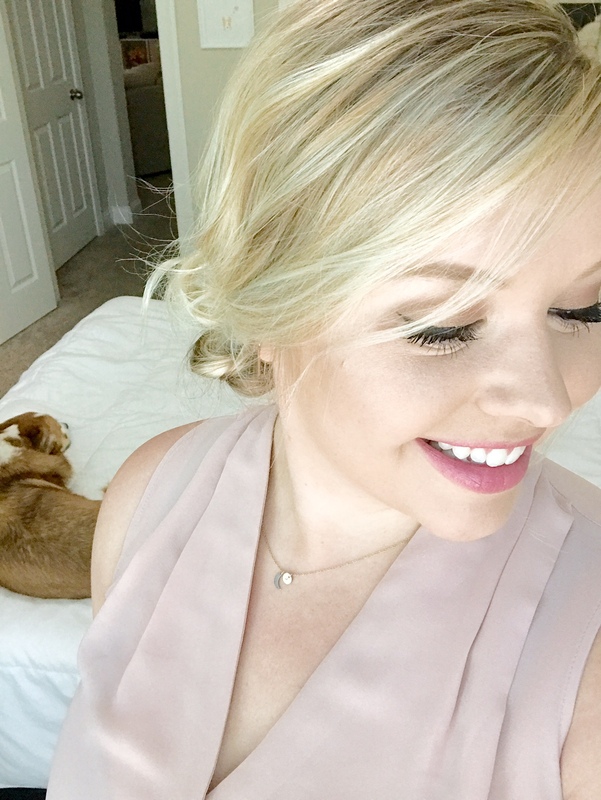 I have been using this hairspray from following Kate Bryan’s blog for years – I really love it. It is just enough hold + give, and it doesn’t make your hair crunchy. And it lasts forever! 3. The low side bun. 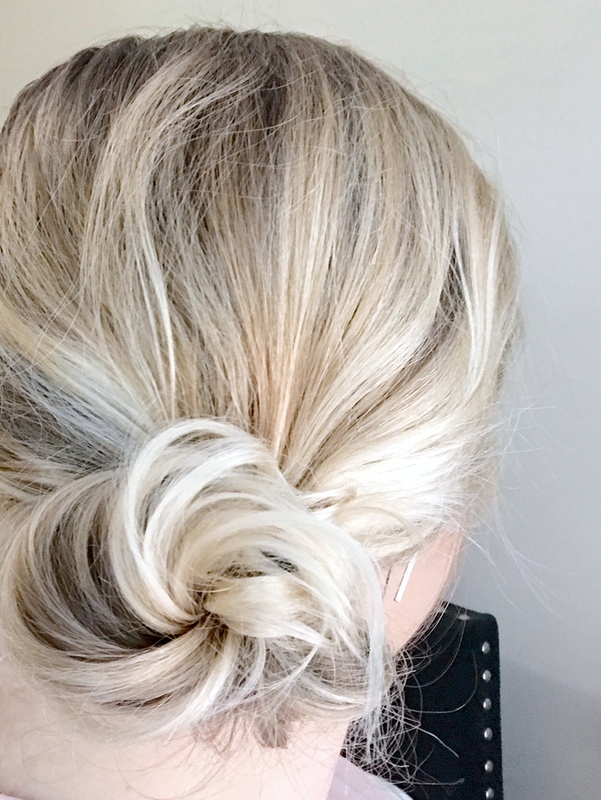 The exact same principles from the messy bun apply, just at a different placement. I like to pull mine behind my right ear to balance out my left side part. Again, the bobby pins here really come in clutch. I also like to keep some hair out in the front (my baby bangs that always seem to be there). 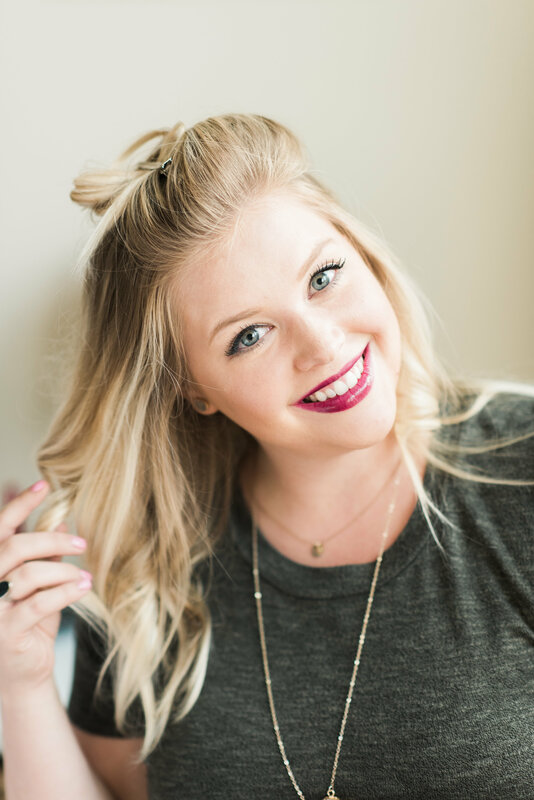 This style definitely works better with curled or textured hair because it tends to look more full and carefree. Now, I know the grass is always greener on the other side, blah blah, you hate your thick hair, if only I knew how annoying it is, how hot it is, how your hair dresser has to thin it out and it takes an hour to dry, etc. but for us thin-haired gals, you thick-haired ladies will always be the lucky ones. 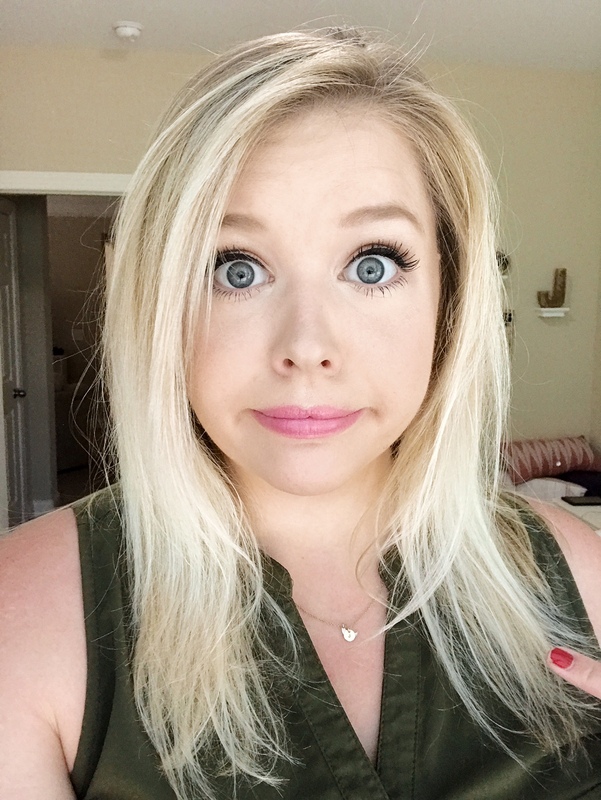 I have come to love my hair for what it is (because that’s life and I have to), but I’d take a happy medium if someone could figure out how to actually thicken hair naturally. It’s 2017 and we still haven’t figured out some of life’s most daunting mysteries.